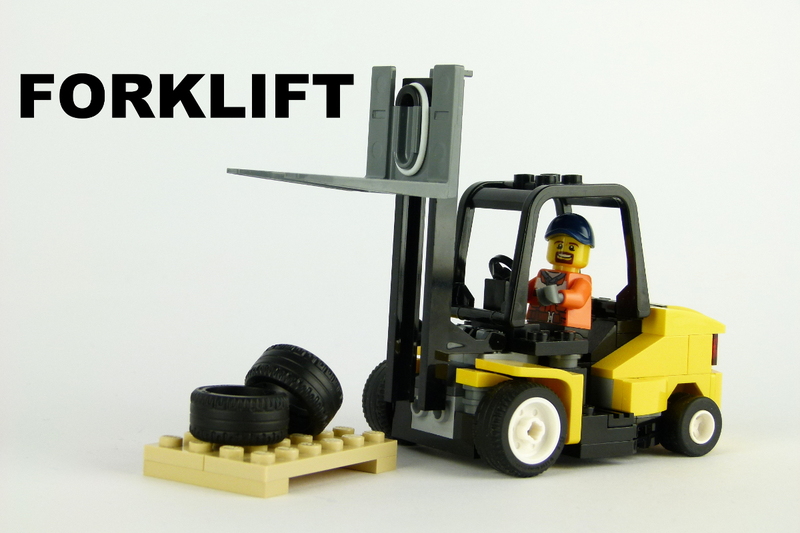 Get this working forklift to round off your LEGO© city cargo area. 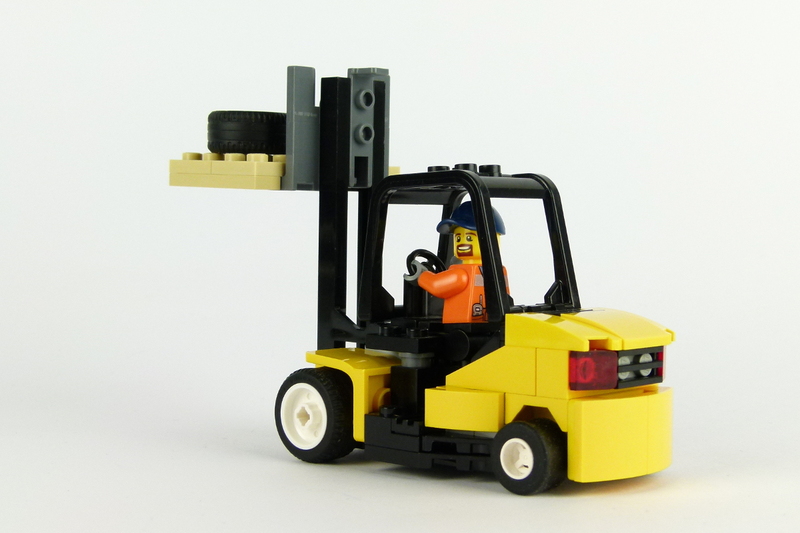 It features a worker Minifigure with printed torso and legs. The worker wears safety clothes to be easily seen by his co-workers. 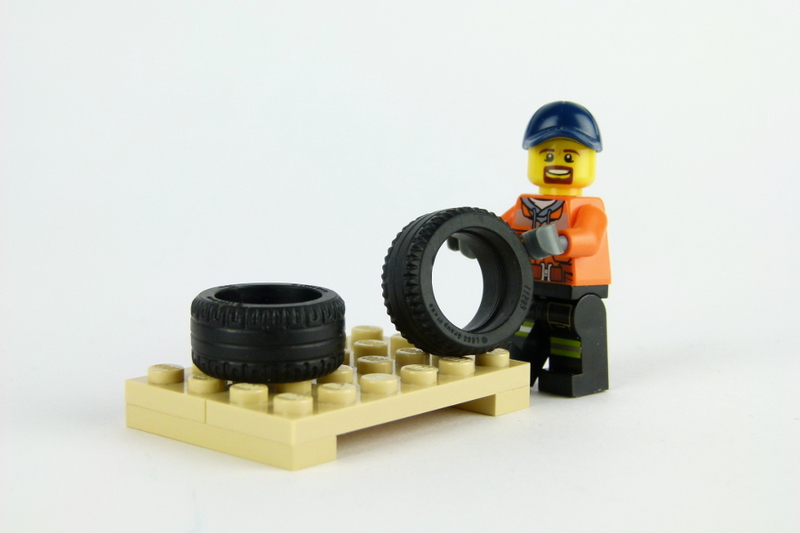 The set comes with a palette and tires as cargo.